Rubber Die Cutting Services – Gordon Rubber and Packing Co.
Gordon Rubber utilizes steel rule dies to deliver rubber die cutting services that meet any customer specification. 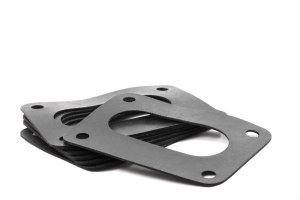 We are able to produce standard full face and ring gaskets, inserts, cushioning, separator pads and more. Our die cut rubber products are durable and lasting, able to withstand extremes temperature and environmental conditions, harsh chemical exposure, constant vibration, abrasions and repeated impacts. contact Gordon Rubber at 203-735-7441.